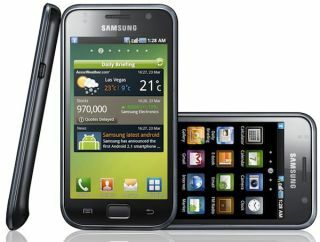 More than 5 million Samsung Galaxy S handsets have been sold to date, according to the Korean electronics giant. The Android handset has proven to be a major hit since it arrived on the market in June, with millions snapping up the iPhone rival. The Samsung Galaxy S has a larger screen than Apple's iPhone, and the Google Android mobile OS has become a hugely popular alternative to traditional phone operating systems. Samsung is hopeful that the encouraging sales of the Galaxy S will keep it on course to move into fourth spot in the global smartphone manufacturer rankings, behind Nokia, BlackBerry maker RIM and, of course, Apple. The smartphone picked up a very creditable four-and-a-half stars in TechRadar's Samsung Galaxy S review, with the reviewer suggesting that it is a "worthy adversary to the best of the mobile market". However, three million Apple iPhone 4 handsets sold in the first month after its release, which would suggest that it is still well ahead of the Galaxy S.